Cold room controller is the computer pad that controls the different settings within a cold room. 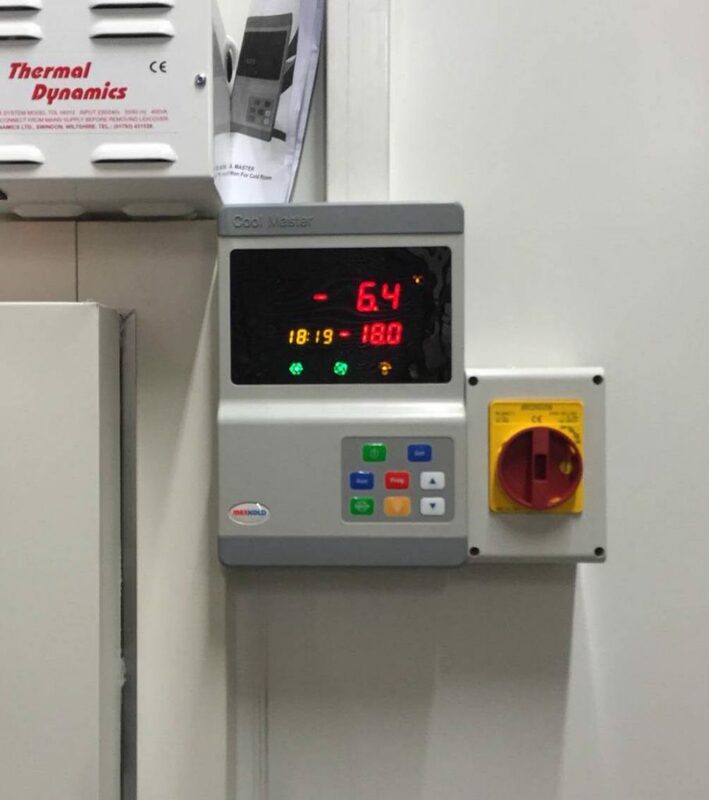 For example, it can control the temperature inside the chamber, some of them even allow you to monitor the temperature data and in built alarms. We are able to provide you with many different controllers which will provide you with a variety of options for your cold storage unit. If there are any other cold room accessories that you might need, you can call us at +44 755 533 6292 and we will tell you what else is on offer. If you know exactly what cold room controller you need then you can go to our cold room installation page to get one installed. The cold room controller is an irreplaceable part of the appliance because it is the means through which these storage units are operated. The controller we provide records the history of the cold room performance. This will allow the engineers to identify and track an issue within a short period of time. In case if you do not have a cold unit in your restaurant/cafe yet, then feel free to use our Online Application. The application allows you to design a cold room within 10-15 minutes and the service is available 24/7. The process is very simple as it consists from about 10 steps, where you can select size, temperature and accessories for your cold unit. As soon as it is done and paid you can choose the delivery type. It can be collected either by you or we will delivery it straight to your restaurant. Use our cold room designs service and pay online in order to get 10% discount.